This online RF course is ideal if you need to quickly get up-to-speed with modern RF and microwave communications and measurements without having to spend time searching through a large amount of free online content of variable quality, magazine articles and dry academic textbooks that all too often obscure subjects with complicated mathematics. The course brings together a range of essential RF communications and measurements topics into a single, complete and comprehensive RF and microwave foundation diploma course. This IEEE approved online course has been designed to provide you with a solid grounding in the principles and practice of modern RF, wireless and microwave communications, test and measurement engineering. Throughout the course, important concepts are simplified and explained in a way that conveys the essence of each topic without resorting to complex mathematics. Developed by PhD-qualified RF engineers who have contributed over 50 years of combined industry experience and knowledge, the course focuses on the essential real-world knowledge needed to help you develop a successful career in the fast-paced and rapidly changing world of modern RF, wireless and microwave engineering. This complete online diploma course consists of 35 separate topic modules containing 265 individual video lessons totalling over 700 minutes of video content. Every module includes a short multiple-choice quiz to test your progress and downloadable supporting notes. 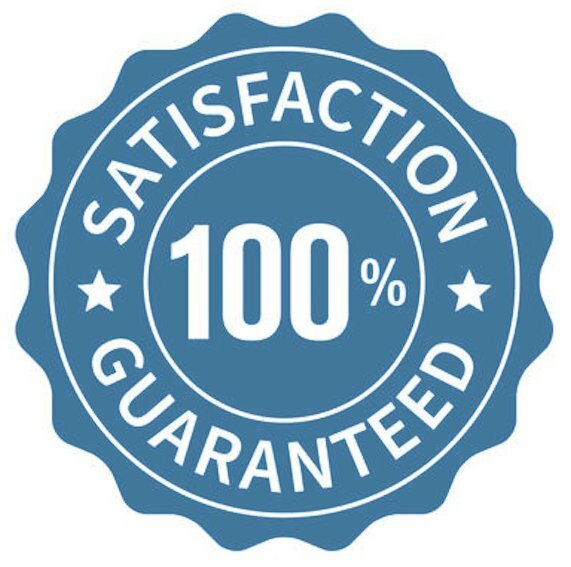 Successfully completing all modules and quizzes results in the award of a high-quality printed certificate and transcript to demonstrate your achievement. 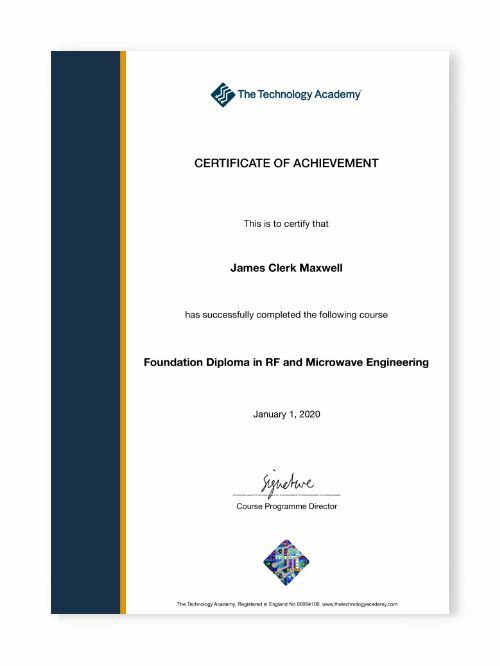 This online RF and microwave course is ideal for graduates, interns and new entrants to the field of RF and microwave engineering. It is also suitable for those with industry experience, but with knowledge gaps that need to be addressed. Students and job seekers will also find the course beneficial since it covers areas likely to arise during a technical interview. Staff members taking this RF course typically include RF engineers and technicians, RF test engineers and technicians, wireless design engineers, microwave design engineers, RFIC and MMIC design engineers, RF applications engineers, digital design engineers, hardware design engineers, hardware applications engineers, technical sales engineers and technical managers who need to improve their understanding of RF, wireless and microwave communications in order to better manage projects. High-quality printed course notes are included with this diploma course. These are posted to you worldwide when you enrol. They are wire-bound and printed full-colour A4-size with heavy duty plastic covers. They include all 295 slides featured in the course videos and space for notes as you work through the course. This course has been approved by IEEE for the quality of its technical content and adherence to IEEE’s strict criteria for educational excellence. Successfully completing all of the course modules and quizzes results in the award of 1.5 Continuing Education Units (CEUs) and 15 Professional Development Hours (PDHs). CEUs are widely recognized as the standard of excellence for continuing education programs in IEEE’s fields of interest. An official IEEE Certificate of Completion will be emailed directly by IEEE on completion. 4.3 Application Note – dB or not dB? 12.3 What Is Modulation Exactly? 13.4 How Fast Do I Sample? 13.5 How Many Bits Do I Need? 14.1 Ones and Zeros are Square Waves Aren’t They? 25.2 How is Reflection Coefficient Measured? 25.3 How are Two-Port Devices Measured? 31.1 What is Noise Figure? 31.2 Why Do We Measure Noise? 31.3 What Do We Measure? 31.4 How Do We Measure Noise? 32.1 What is Phase Noise? 33.3 Why Does Linearity Matter?